Most people are not born with perfectly straight teeth. In fact, many people you see walking around with great looking smiles will attest to having braces at some point in their life. Idealizing your smile with orthodontics will not only improve you appearance, it will improve your overall health. Teeth that are properly aligned are easier to clean, making it harder for plaque to hide in crevices. Improving your bite can also create more flattering facial features which can be disrupted by irregular bites. Dr. Monica Muntwyler has taken extensive training in early childhood, adolescent and adult orthodontics. She strongly believes in early diagnosis and interceptive treatment allowing for the most conservative treatment to achieve the most ideal results. By the age of seven, most children have a mix of baby teeth and adult teeth, making it easier to diagnose and correct tooth and jaw problems sooner and without surgery. Early treatment allows our team to correct and guide the growth of your child’s jaw to help the permanent teeth to erupt in a better position. This can help to avoid the need for permanent tooth extractions later in life. 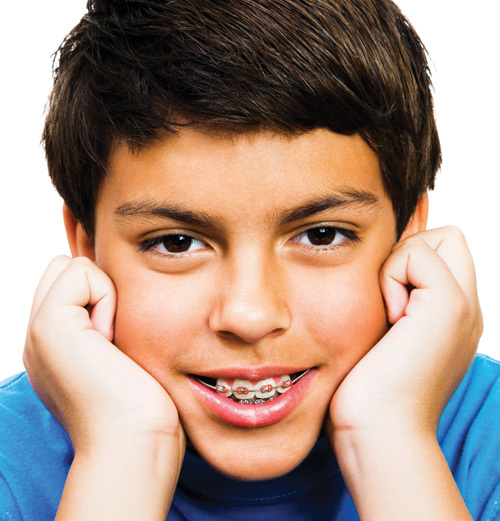 Orthodontic treatment is no longer just for teens. In fact, the Canadian Association of Orthodontists cites that one in five orthodontic patients is over the age of 21. Many adults are choosing to receive treatment because they understand the importance of maintaining their health, and they want to feel better about their appearance. Adults everywhere are taking advantage of the opportunity to receive orthodontic care, and now you can too.